Our fabric store started as a sparkle in the eye of "BZ", who founded a store in McLean, VA and later expanded to a second location at the Watergate. When she decided to retire, she first sold the Watergate location to Moe and later the McLean location to another fabric store owner. 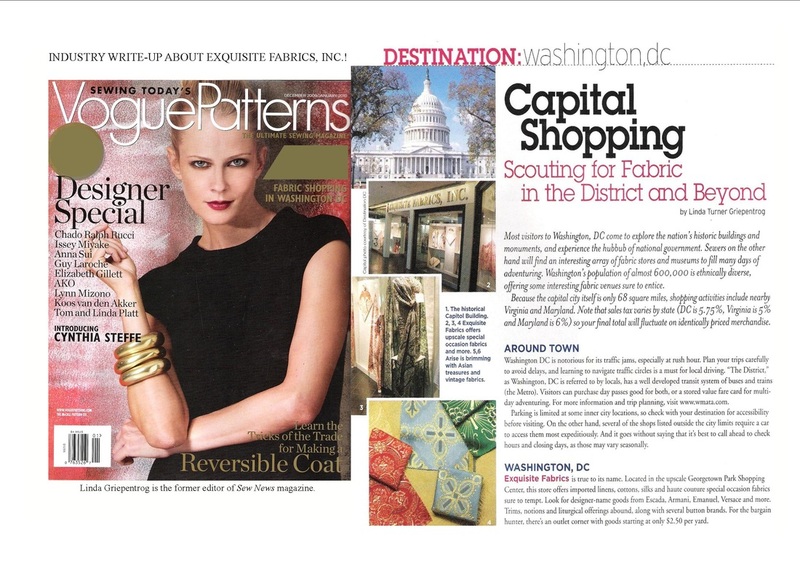 Moe upgraded the selection by connecting with luxury suppliers, and by becoming the first retailer in the DC area to offer fabrics from designers like Versace, Koos van den Akker, Valentino, and others. Our highly appreciative customers have come from all over the world since 1979! Although we looked many places from DC to Arlington to Leesburg and Fredericksburg, one day we went out of our orbit and re-discovered the historic town of Culpeper. A few months later, we got our newest store ready, and we've been here ever since! We have now transitioned to our all-online experience. We've searched the world for the most exclusive suppliers through the years, and watched the fabric and home sewing industry go through a lot of growing pains. We remain committed to high quality, mostly natural fiber fabrics for apparel sewing, and we include the best of modern fibers and a select grouping of other types of fabrics including basics like muslin, lining, and interfacing. If you are into quilting or home dec sewing, and you have a different "eye", you might find something here too! Please call if you have any questions about our current stock.